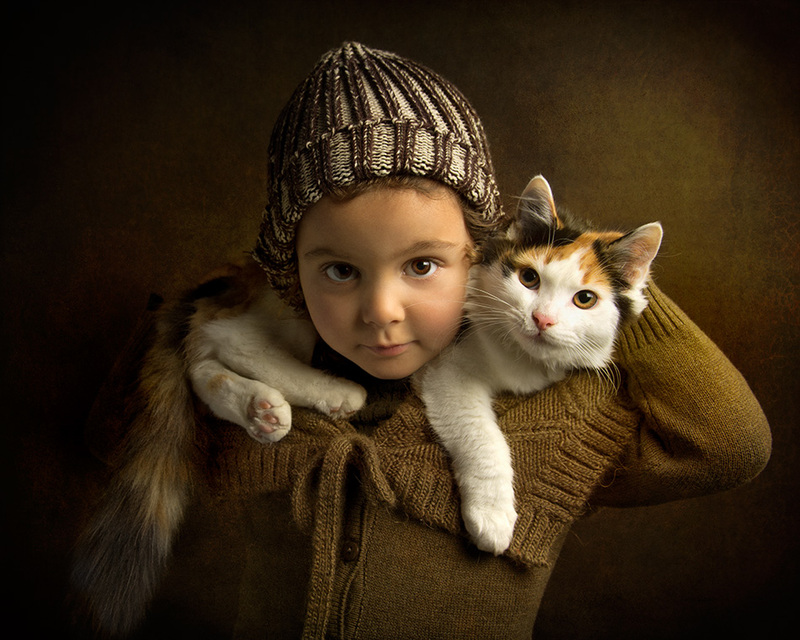 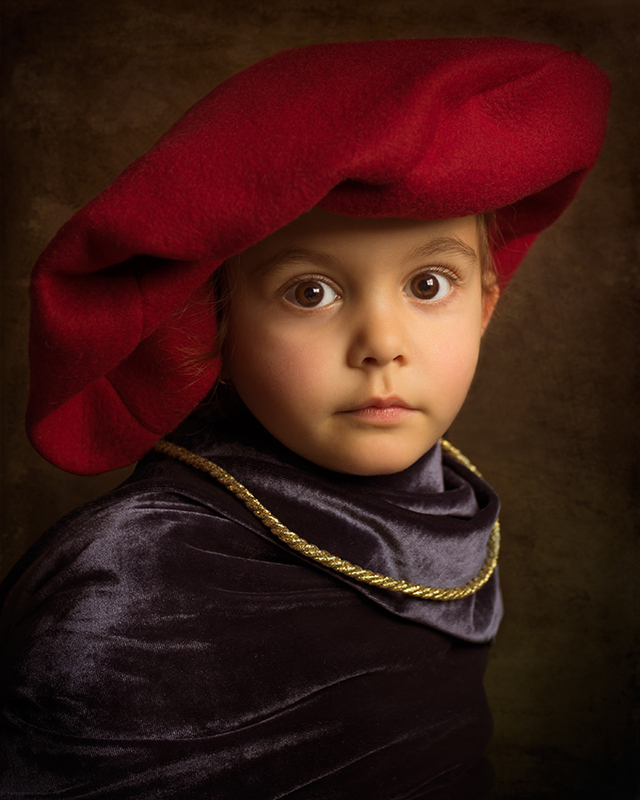 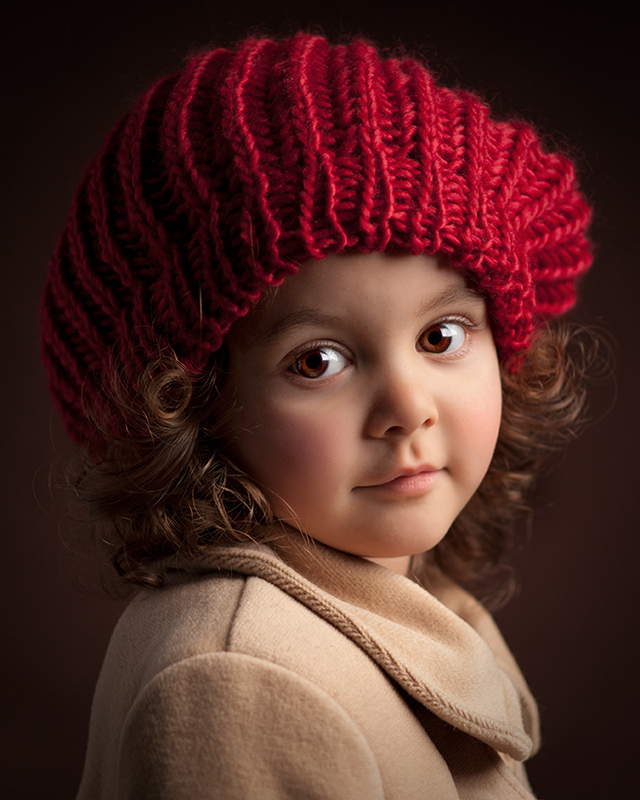 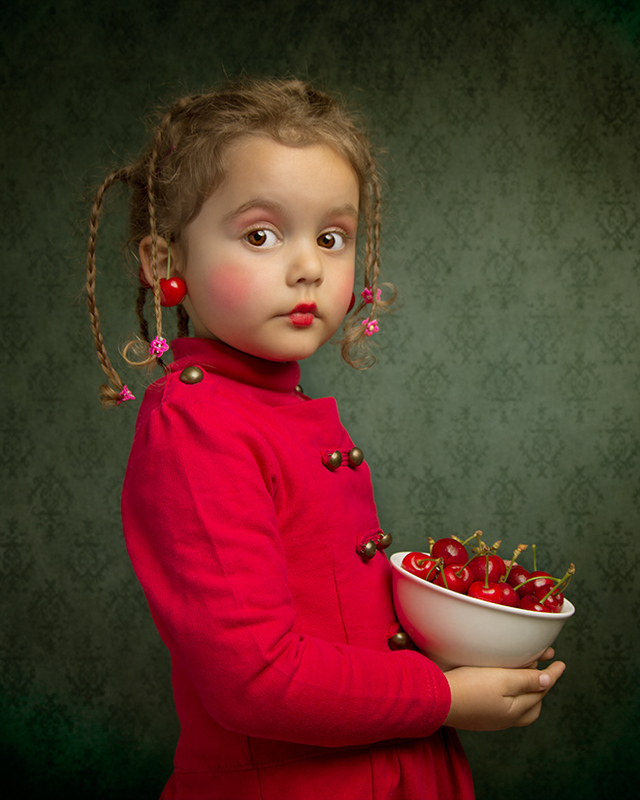 Bill Gekas is Australian based photographer with lovely influence from the Old Masters of classic paintings as Johannes Vermeer and Rembrandt, who is managing to create photographs that are often highly complex constructions blurring the line between photography and painting. 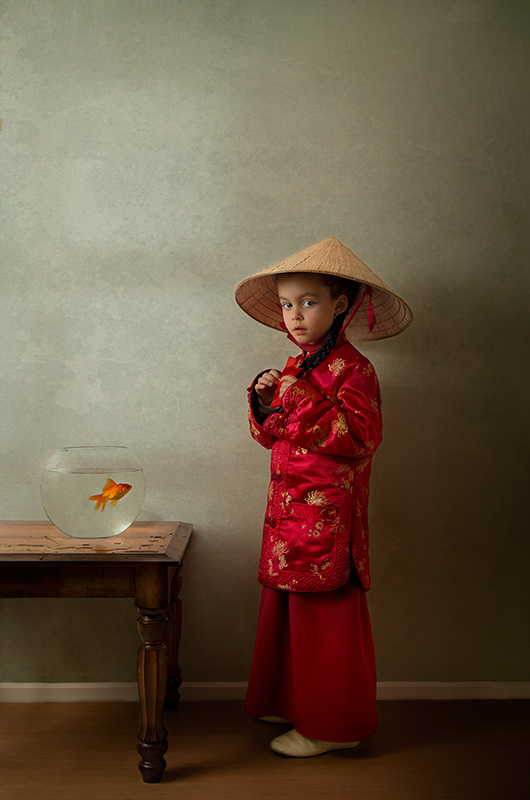 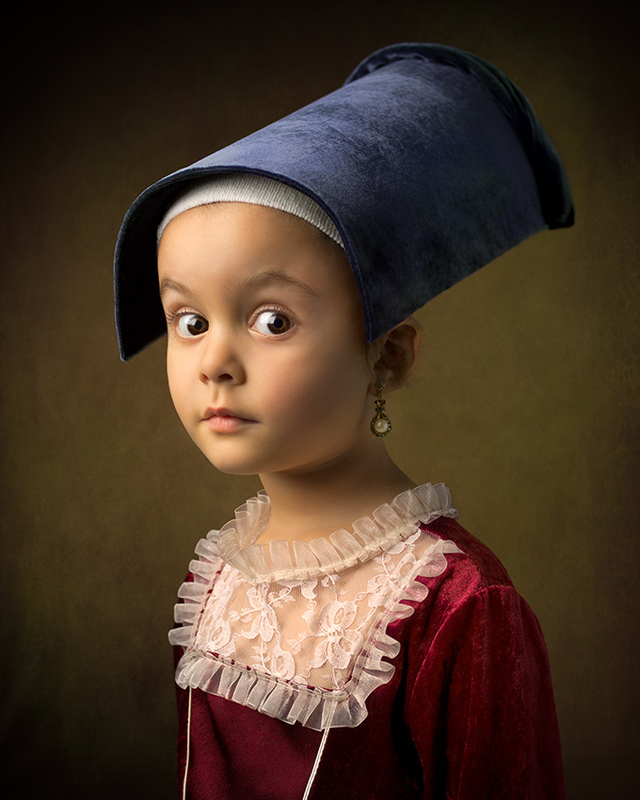 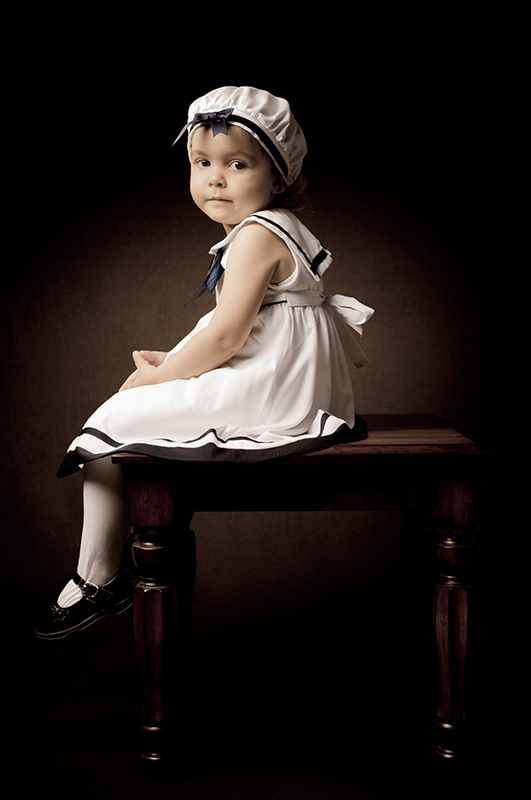 Using his five year old daughter as the model, Gekas recreates many mid-18th century settings that are inspired by portraits of adults from famous paintings. 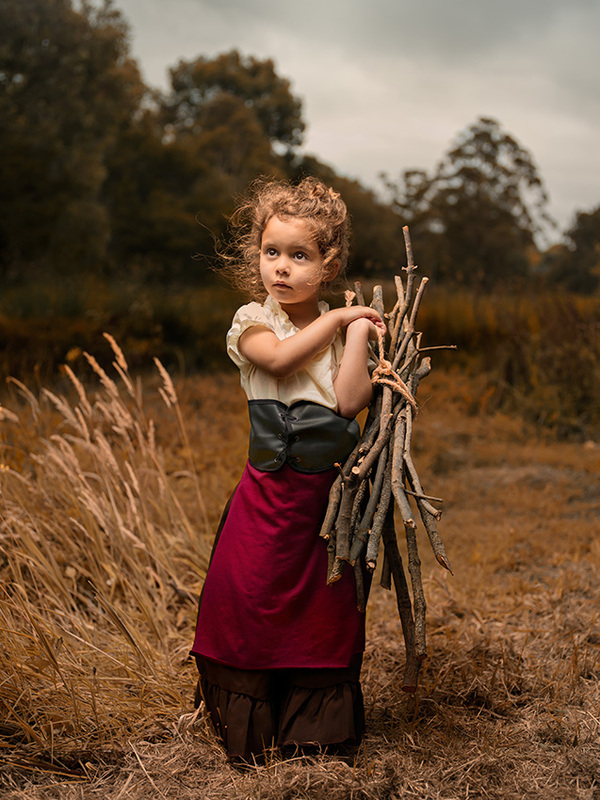 He styles the environment and his daughter to fit the time period, and uses strobe lights to maintain the appearance of soft, natural lighting. 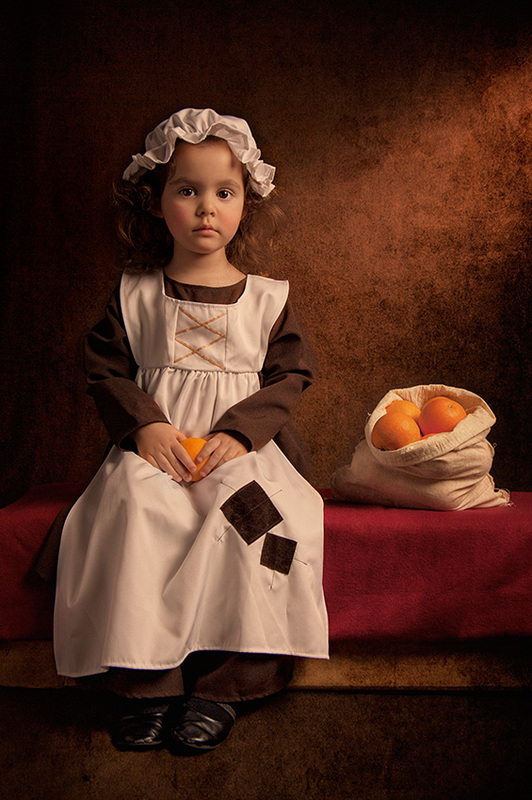 The self-taught photographer learned on 35mm and has since turned to digital techniques. 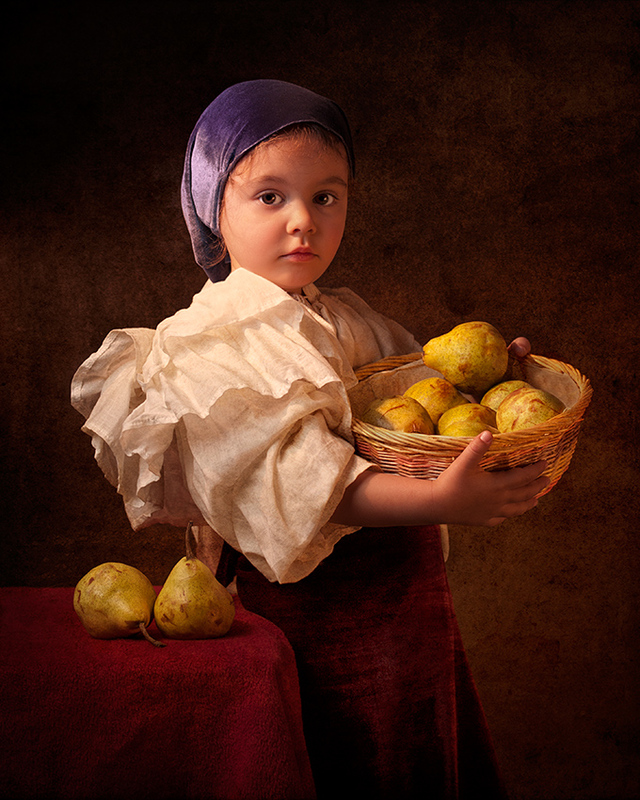 He uses post-processing to put the final touches on each of his photographs. 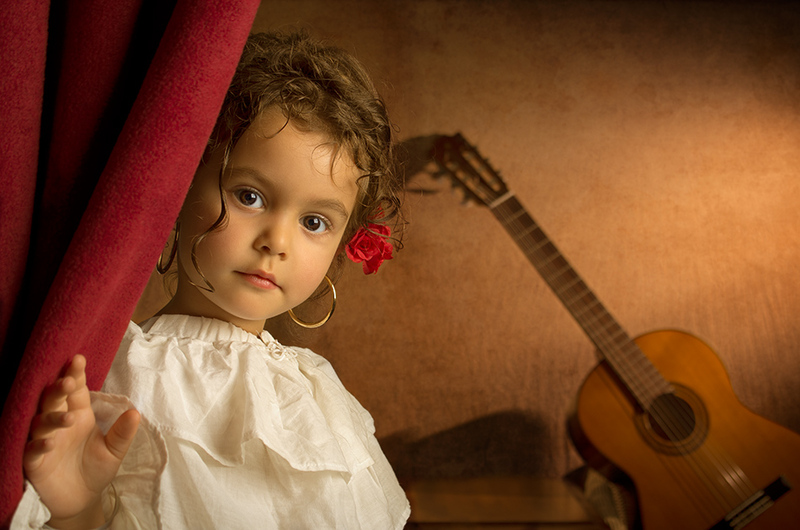 Through hard work, experimentation, and a grand vision, the talented artist has successfully produced an extensive collection—a tribute to both the well-known artists as well as to his young daughter. 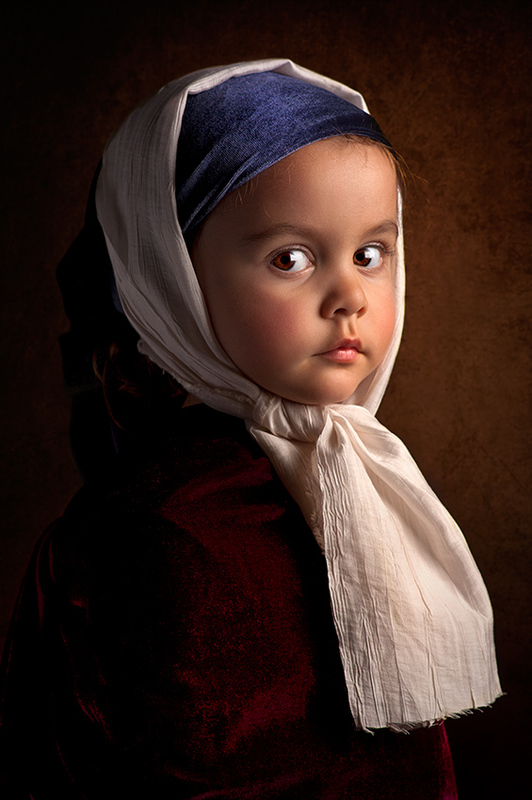 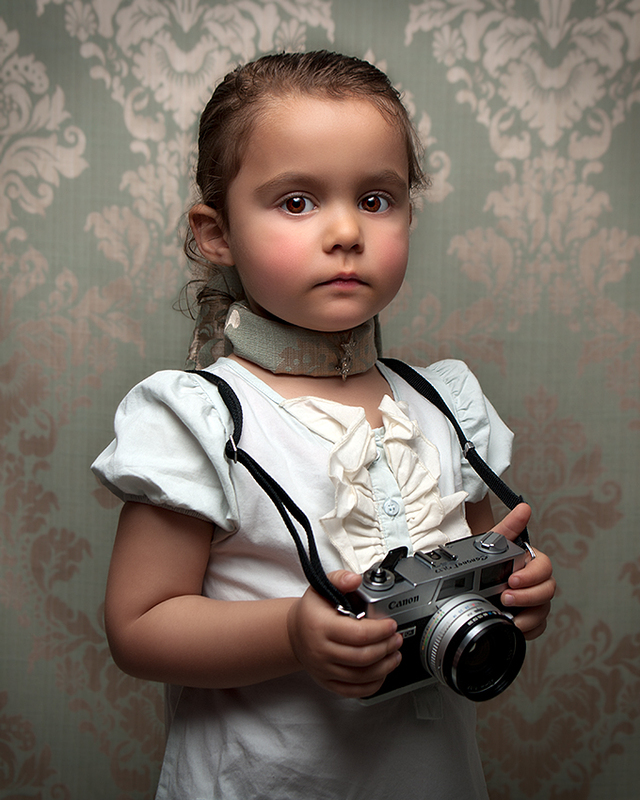 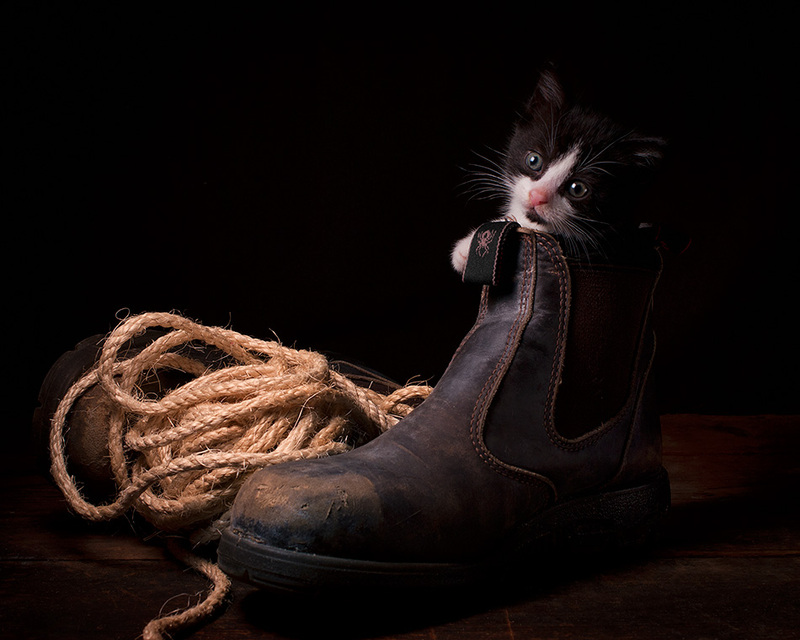 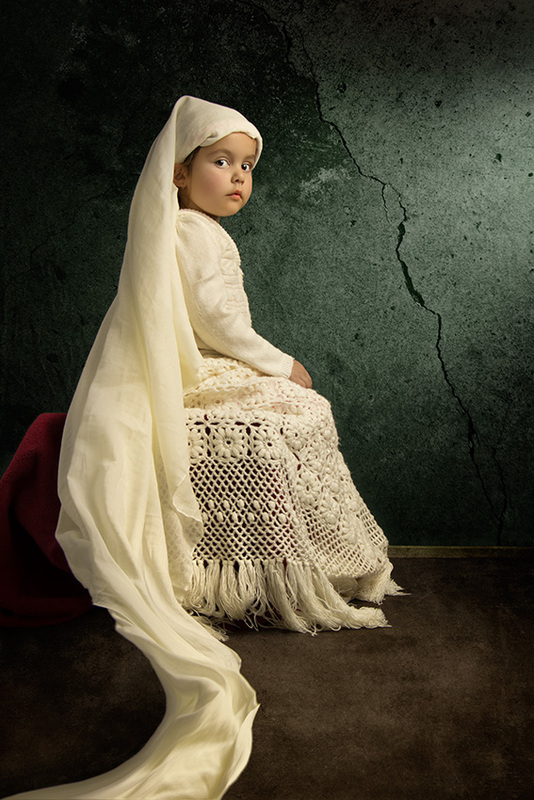 As Gekas has evolved as a photographer, so has his unique style. 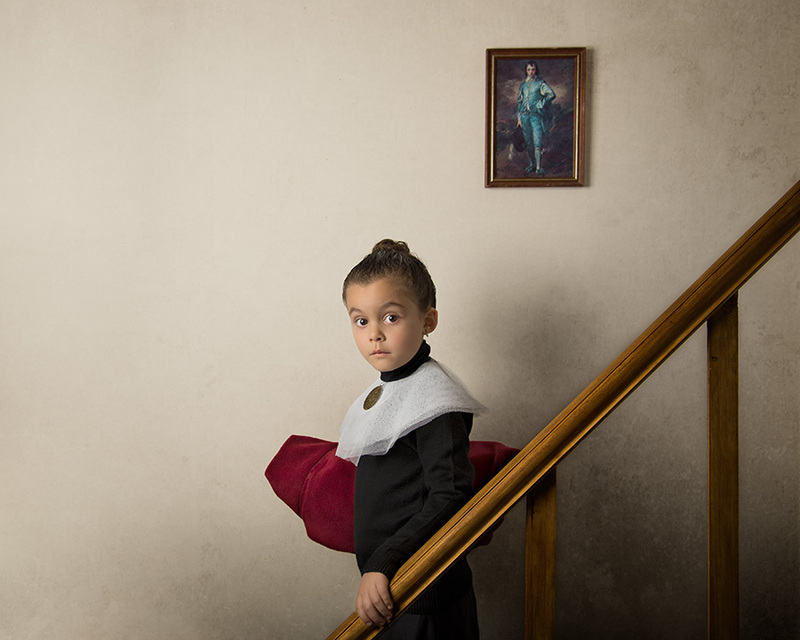 He says “Don’t be scared of taking certain elements from different works and molding them into something to call your own.